The outspoken rapper is showing off his Samurai skills. In a clip posted on Instagram you can see him practicing his martial arts with a samurai sword. In the clip he was even wearing his Japanese samurai keikogi outfit. Lupe Fiasco is from a martial arts background particularly from Japanese culture. He even titled his last album DROGAS. In the caption of the clip, he noted that the style of martial arts he was practicing is called laido. The Japanese techniques teaches you to draw your sword super fast to defend yourself from attack. 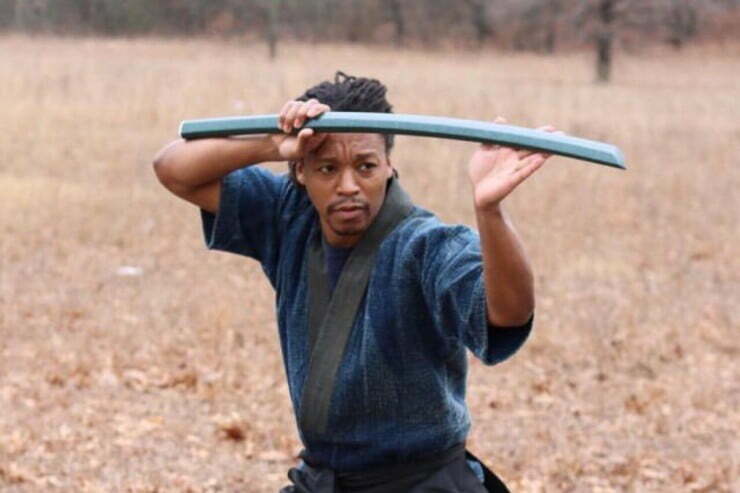 Lupe Fiasco has been practicing martial arts since he was a child and got his first of three black belts at the age of 10. Back in December, Lupe Fiasco came under fire for anti-Semitic lyrics on his “N.E.R.D.” freestyle single on nhis new album DROGAS. The Chicago rapper received heavy backlash from some hip hop fans on Twitter and the song was even removed from some streaming platforms.